We’ve all seen the ads for medical insurance. They make it look so easy. If you have a problem, after a visit to the doctor you gain quick admission to a luxurious facility where your illness or injury is dealt with swiftly and before you know it, you’re back at home feeling as good as new. That’s certainly what they’d like you to believe, and for some it undoubtedly works that way. Of course, they don’t mention the insurance premium you, or your employer, will pay every month, which can be quite expensive, depending on your age and health. Nor do they mention the small print regarding medical insurance. When you apply for medical insurance you have to fill out a health questionnaire. If it’s for family medical insurance there’s a form for every family member. In it you have to disclose all you illnesses, whether you’ve had a heart attack, if there’s a family history of heart problems or cancer – essentially any health-related problem you might have suffered. Failure to disclose something can mean that your coverage for that condition could be disallowed in the future if you’re treated for it. You might feel that what you’ve had in the past is negligible or even irrelevant and so not put it in, but beware – if it comes to light you could end up suffering financial consequences when it’s disallowed by your medical insurance providers. If you already suffer from something, that will be classed as a pre-existing conditions, and may well be excluded from insurance coverage completely or just for a certain length of time, possibly up to five years. There’s no point trying to hide facts, they’ll simply come to light later. Do you take part in any dangerous sports? Perhaps you love paragliding, for example. If so, you’d better disclose it. The medical insurance company might decline to cover you for those activities or offer you a higher insurance premium. 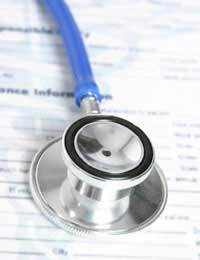 There are a number of ways medical insurance companies can decline payment for conditions or illnesses, and you need to be very aware of the small print before you commit yourself. Are you going to live abroad? Some companies won’t cover you if you do. You might also need to inform the insurance company if you’re changing jobs. Why? If you don’t and you suffer a work-related medical problem with your new employer, some medical insurance policies might refuse coverage because you didn’t tell them of your change in circumstances. It’s important, too, to understand exactly what’s covered by your medical insurance policy. Some will cover as little as 12 different conditions (almost always, but not inevitably, including cancer, stroke and heart attacks). Others will offer insurance coverage that’s a lot broader. This can be especially vital when dealing with family medical insurance, as your needs can be very different then. Find out about the way the insurance defines illnesses to understand what’s covered, especially when it comes to definitions of permanent and total disability – these can vary widely. In some cases, as with back pain, things can become very nebulous indeed. If you’re unsure about terminology or definitions and make sure you receive answer you understand. After all, it’s your health and your money. Looking all the small print and making sure you obtain the medical insurance that’s right for you, that covers what you need fully, will make you feel a great deal more secure.